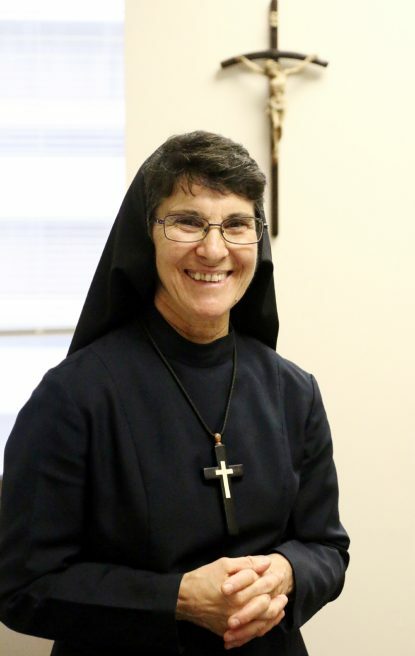 Sister Gabrielle Mary Braccio is settling nicely into her new role as delegate for consecrated life, representing the Archdiocese of Philadelphia as she works with the various orders and congregations of women and men religious, as well as a small number of independent consecrated virgins and hermits. The member of the Religious Sisters of Mercy of Alma, Michigan, joined the archdiocese at the end of last summer after a varied career in religion beginning in the nursing field, specifically as a registered nurse and administrator at various hospitals across the country. 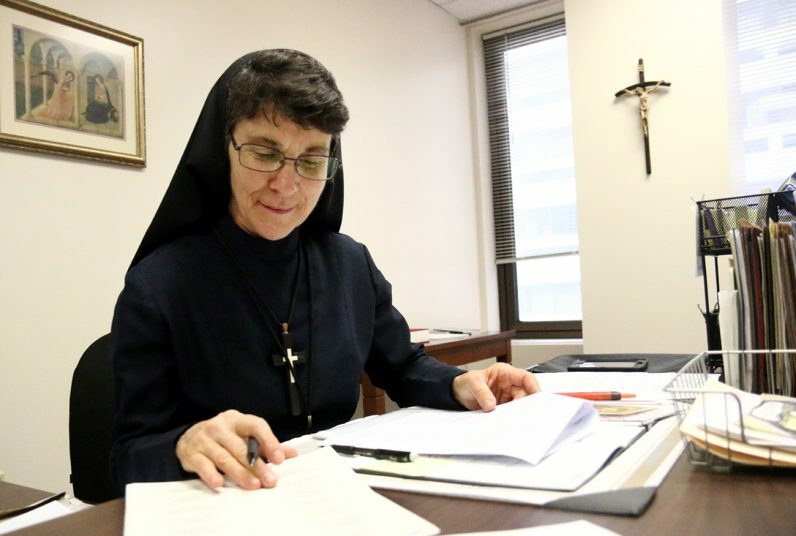 She holds a Bachelor of Science degree from St. Joseph College in West Hartford, Conn.; a Master of Science from the University of Connecticut and a Masters of Arts in Pastoral Studies from St. Charles Borromeo Seminary. She is also local superior at St. Katherine Convent, Wynnewood, a member of the General Council for the Religious Sisters of Mercy and was coordinator for the Council of Major Superior of Women Religious in Washington, D.C., for nine years. Although the Alma R.S.M.’s are based in Michigan, Sister Gabrielle was originally relatively local. She is a native of Atlantic City, one of three children of the late Joseph and Theresa Braccio. She attended Catholic schools and loved the nuns who taught her, but it was not her early intent to enter the convent. Her first choice of occupation was as a beautician, and she was quite happy in it for a time. Her family was surprised but pleased when in in 1979 she chose the convent. The expectation had been her brother would become a priest instead he is married with family. While Sister Gabrielle is a Religious Sister of Mercy, her congregation is distinctly different from the Religious Sisters of Mercy of the Americas, the Mercy branch that Philadelphians are most familiar with. Hers, the Religious Sisters of Mercy of Alma, is a young congregation. It was founded in 1973 and retains a special fidelity to the charism of Venerable Catherine McAuley, who founded the Sisters of Mercy in Ireland in 1831. The Alma branch has about 98 members, Sister Gabrielle estimates, but most important, the order is growing, not diminishing. “We had three new candidates last year, four the year before and four this year,” she said. There are at this time five members of the congregation ministering in the Philadelphia region, mostly in various roles at St. Charles Borromeo Seminary. Also, the congregation tends to be more traditional than most are today. The sisters do all wear a distinct habit and veil, if somewhat modified from past generations. “This is what the church asks of us,” Sister Gabrielle said. While her congregation had her trained to be a nurse in the medical sense, she believes she is still nursing, but in a different way. What she brings to her task, she said, is “the gift of loving consecrated life and wanting to do God’s will. Sister Gabrielle has a point. If ever there was a time the church needed prayers, it is now. I found this to be the best way to release self and have inner peace and strength.